[INQ. NO. 1502E08] A mobile phone plays a major role in our social life, and it helps people interact with each other wherever they are. Yet sometimes they may not work as they should if conditions are not suitable. For example, people cannot wholly count on mobile phones where mobile communication is unstable or where an environment is far too harsh for common electronic gadgets. Especially when communication matters for your business, mobile devices for industrial use could be the best solution, and ATID makes several models worthy of your attention. As a leader in the industrial PDA and RFID handheld readers, ATID responds well to the needs of its worldwide customers. By introducing various types (AT870, AT880, AT980) they have options and can access the most optimized ones for specific purposes such as sales management, gas stations, inventory management, delivery tracking, and more. 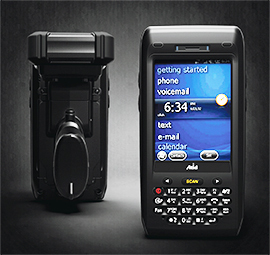 PDAs are running on Marvell processor and Windows CE or Android with Memory Rom 256MB and RAM 256MB. Their main features are Barcode Reader, Card Reader, GPS, Touch LCD in different sizes, wireless function, Bluetooth, etc. 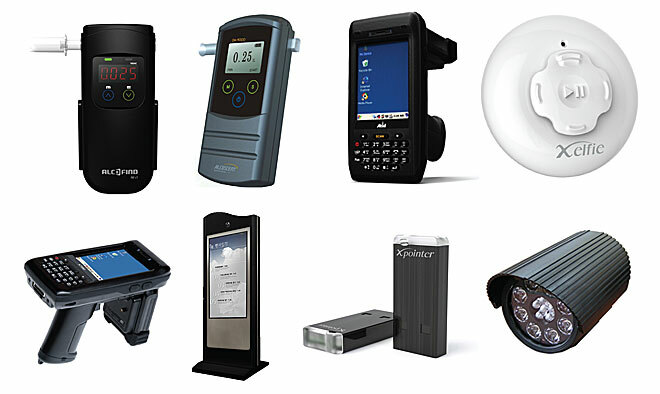 ATID is the leading company of industrial PDA and RFID Handheld Readers worldwide. ATID has been proudly offering the best products to its worldwide clients with differentiate expertise of industrial PDA and RFID Reader, with the most comprehensive know-how on industrial PDA and RFID Reader including UHF technologies. It can develop and produce items to meet the diverse requirements of any customers. Currently its major products include AT570, AT870, AT880, AT280, AT980, AB700, AT288, AT287, Smart Eagle and RFID (UHF & HF), fixed UHF RFID Reader/Writer solutions. ATID anticipates and fulfills customer and consumer needs with high-quality and innovative Industrial PDA and RFID Readers. The ATID product range provides the most pleasant working environment with improved quality and performance for all customers. AT911 is the Android OS-based first industrial PDA and it is currently adopted by such various areas of applications as industry, medical, logistics, and production, both at home and abroad. For higher performance, the model comes with such highest levels of specification as Samsung S5PC110 1GHz, RAM 512MB / ROM 512MB, 4” WVGA Touch LCD, 1D or 2D Barcode Scanner, etc. ATID markets the model not only at home, but also exports to international markets such as the United States, China, Japan, Europe, etc. A mobile phone plays a major role in our social life, and it helps people interact with each other wherever they are. Yet sometimes they may not work as they should if conditions are not suitable. For example, people cannot wholly count on mobile phones where mobile communication is unstable or where an environment is far too harsh for common electronic gadgets. Especially when communication matters for your business, mobile devices for industrial use could be the best solution, and ATID makes several models worthy of your attention. 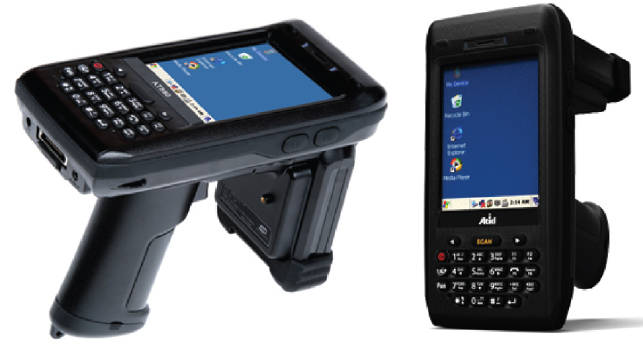 As a leader in the industrial PDA and RFID handheld readers, ATID responds well to the needs of its worldwide customers. By introducing various types (AT870, AT880, AT980) they have options and can access the most optimized ones for specific purposes such as sales management, gas stations, inventory management, delivery tracking, and more. PDAs are running on Marvell processor and Windows CE or Android with Memory Rom 256MB and RAM 256MB. Their main features are Barcode Reader, Card Reader, GPS, Touch LCD in different sizes, wireless function, Bluetooth, etc.